To celebrate its appearance at E3 2017, publisher 505 Games has released a brand new trailer for Bloodstained: Ritual of the Night. The 2.5D platformer is one of the most highly anticipated indie games currently in development due to it being spearheaded by former Castlevania producer Koji Igarashi. Igarashi famously helped the classic Konami series find its footing by establishing the “Metroidvania” gameplay that made Castlevania: Symphony of the Night a classic title. The minute-long trailer shows that the 2018 release is coming together nicely. While the trailer isn’t very long, it manages to show off plenty of castle exploration and combat footage. The video ends by showing a bloody boss fight that’ll surely test gamer’s reflexes and pattern recognition skills. It looks like developer Inti Creates has something solid on their hands, and we’ll know more once E3 2017 officially rolls around next week. 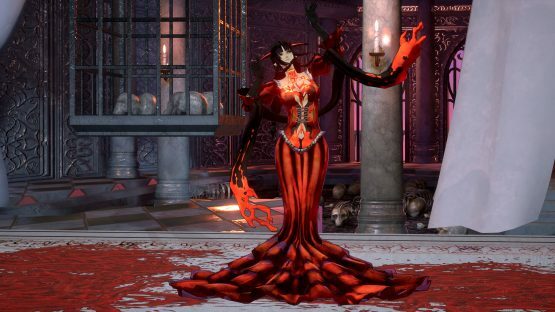 Bloodstained: Ritual of the Night is set to release in the first quarter of 2018 for PlayStation 4, Vita, Xbox One, Nintendo Switch and PC. Let us know in the comments below if you backed the game when it was in its Kickstarter phase, and if you’re satisfied with how the Bloodstained E3 2017 trailer looks!